The African diaspora has immense potential to promote African development and act as a bridge between countries and continents. 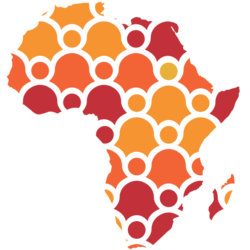 According to the World Bank, in 2017 remittances to sub-Saharan Africa grew to $37.8 billion, and are forecast to hit $39.6 billion in 2019. But the potential of the diaspora goes beyond financial flows and can contribute to education, skills sharing and Africa’s soft power. In addition, the diaspora can help foster a sense of shared identity, by linking roots with place of residence. The panel will explore the issue of identity and how to reconcile having multiple ones, the challenges but also opportunities this creates. It will also explore how members of the diaspora stay connected with the continent, and what African countries should do to facilitate linkages. And is it necessary to move back to Africa in order to contribute to the continent’s development. The African Diaspora is defined by the African Union as “peoples of African origin living outside the continent, irrespective of their citizenship and nationality and who are willing to contribute to the development of the continent and the building of the African Union”. Its diversity reflects that of the continent, with over millions of people spread across the world’s continents. This diversity is further nuanced by the mixing of identities and roots, particularly as second and third generation children of African migrants grow up outside the continent. Though the diaspora’s roots can be considered to go even further back, to the Caribbean and the sons and daughters of former slaves. According to some commentators, “harnessing the talents and expertise of the African Diaspora can help to bolster Africa’s workforce development”. The Diaspora can build new bridges, links based on finance, education, identity and culture. At a Summit on Africa organised at a leading British Higher Education Institution, a discussion about how this potential can be harnessed, whether it should be, who even is the ‘diaspora’ and how the diaspora engages with Africa, is therefore fundamental. We can even go as far as asking ourselves if the diaspora is one of Africa’s Future Frontiers. Lexy Owusu-Boahene is the Managing Director of the HR and Recruitment consultancy LX HR Solutions. As a British born Ghanaian, Lexy started LX HR Solutions in Ghana, with the aim of engaging, developing and retaining employees for business growth. Her ultimate aim is to create a world class graduate programme which will equip graduates with employability skills, soft skills and confidence to be successful in the workplace. She would like to eventually develop a policy to ensure graduate programmes are compulsory. This is particularly relevant for young people in her country of origin Ghana, where there are high rates of graduate unemployment. One of her most outstanding projects is the recruitment networking event called the Diaspora Drive. The Diaspora Drive, which is held annually, provides a platform for both international and local employers to network with potential employees in Ghana provide Diasporas with practical support for returning home and investment opportunities. The event spurs conversations around brain gain, reintegration and the ripple effects of investments from the diaspora and presents Ghana as a safe place to live, invest and work in. In 2019, Lexy will be working closely with the Government of Ghana to link this project to the Government’s marketing campaign ‘The Year of Return’. Lexy has taken part in speaking engagements and training sessions with the BBC Africa, Homestrings, Future of Ghana 30 under 30, Women Entrepreneurship Day and many others. Bashair Ahmed is the Executive Director of Shabaka, a UK based social enterprise supporting diaspora engagement in development and humanitarian action with a focus on Africa and the Middle East. Concurrently, Bashair is a Doctoral Researcher at the University of Sussex conducting research on activism among second-generation diasporas (children of migrants) from the Horn of Africa based in London and Washington, D.C. Bashair previously worked for various human rights, international development and humanitarian organisations focusing on fragile and conflict affected countries in Africa, the Middle East and Asia. Over the last half decade, Nana Richard Abiona – aka Fuse ODG – has shifted the direction of British pop music. When he first burst onto the scene in 2013 he was a trail blazer working in a genre that didn’t have a title. As his own name suggested, his music was a fusion, drawing on the sounds of rap, grime, bashment and house that he’d grown up on. Fuse linked up with production mastermind Killbeatz, and together the duo found a way to join the dots between Fuse’s influences. First the tunes they made flooded across the African diaspora. It laid down the foundations for the rise of the Afrobeats sound worldwide, a style that has dominated popular culture. Establishing a permanent base in Accra, Fuse has built a primary school (which Ed Sheeran donated a bus to), made a run of Afrocentric children’s toys, opened a studio for local musicians, worked alongside Ghana’s President as a trade ambassador, and also puts on the annual TINA music festival every January in Accra. Titling his new project New African Nation, Fuse is committed to imparting a message from black leaders and reshaping his musical landscape. Iman is an award-winning video journalist currently working at The Guardian, producing and presenting contemporary political and social short documentaries. In addition to this she also writes for various sections of the paper and has been a contributor for other publications including The Times, The Independent, The New Statesman and Huffington Post. Iman is Algerian British and much of her work focuses on marginalised voices, minority issues, culture and immigration. Her approach to stories affecting communities in the diaspora has given her unique access to stories across Europe related to police brutality, terrorism, Grenfell and youth culture. In addition she has written about black British comedy, racism in football and music. She has also reported on international stories in Latin America and Africa. She has been invited as a guest commentator on identity, race and politics on news channels such as Al Jazeera and Africa News.